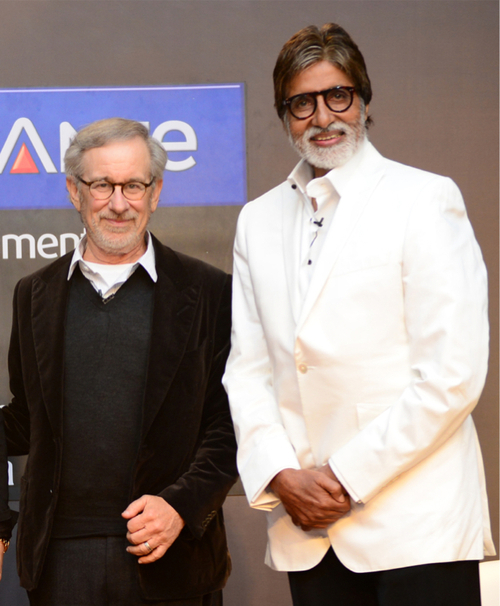 Steven Spielberg in Mumbai talks his upcoming film and more! 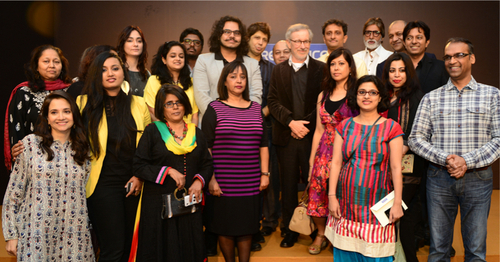 Hollywood director Steven Spielberg is currently in Mumbai to publicise his latest film, Lincoln. 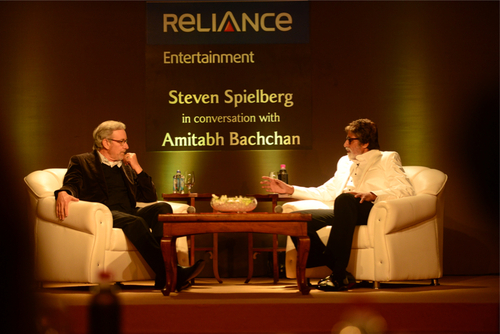 On Monday, Anil Ambani hosted a party that saw an in conversation take place between Spielberg and Amitabh Bachchan, as well as giving Spielberg the chance to meet with other Bollywood stars and film personalities. The likes of Sanjay Leela Bhansali, Anurag Kashyap, Farhan Akhtar, Zoya Akhtar, Abhishek Kapoor, Ram Gopal Varma, Rajkumar Hirani and Farah Khan all attended the event with many taking to twitter to share their thoughts on the in conversation. 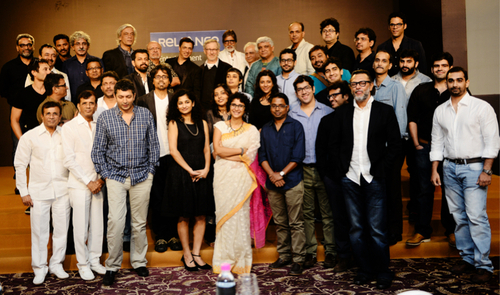 Spielberg also announced, whilst speaking to the Indian media, that he is set to work on a film set in Kashmir. The film is to be produced by DreamWorks, along with Indian partner Reliance Entertainment. 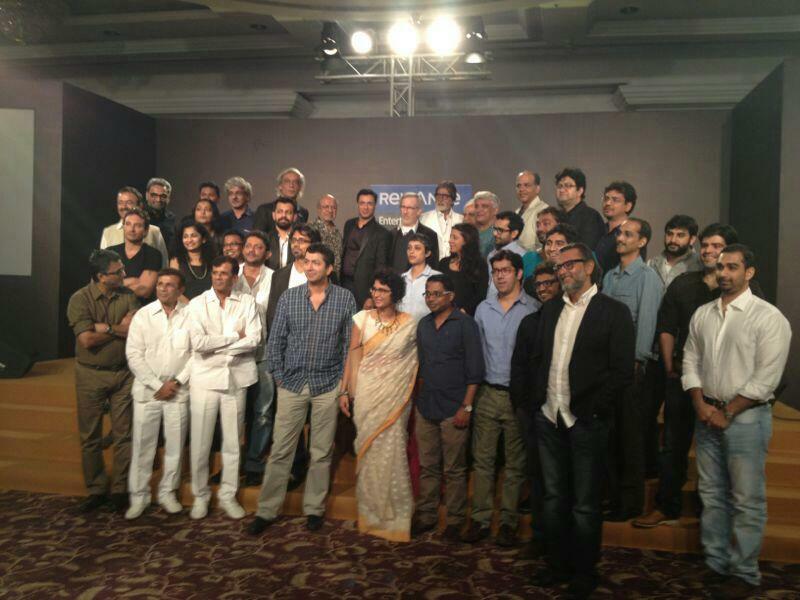 Also there were Rakesh Om Prakash Mehra, Anurag Kashyap, Ramesh Sippy, Shyam Benegal, Ashutosh Gowarikar, Sudhir Mishra, Nagesh Kuknoor, Madhur Bhandarkar, Homi Adajania, Abbas- Mastan, Rohan Sippy, Prabhudeva, R.Balki, Kunal Kohli, Kiran Rao, Reema Kagti, Rajshree Ojha, Gauri Shinde and many more. Present also was Stacey Snider the Co- Chairman and CEO, Warner Bros and playing perfect hosts were Jaya Bachchan, Anil Ambani and Tina Ambani. 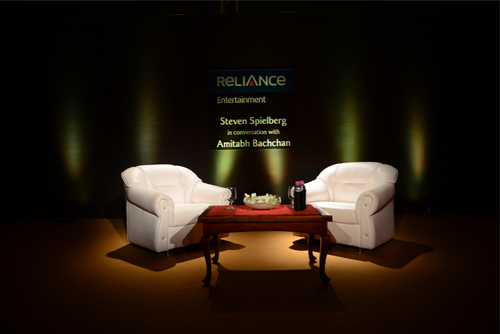 Check out the pictures Mr. Bachchan along with Reliance Entertainment tweeted! Plus these other cool exclusive shots! 15 queries in 1.014 seconds.